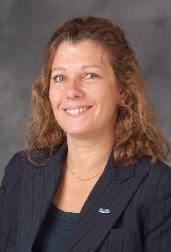 Rita D’Angelo is an internationally recognized expert in process improvement and lean production systems. For over a decade, Dr. D’Angelo has trained and certified in lean management, thousands of healthcare professionals, and improved the efficiency of health care facilities in the United States and Europe. A co-founder of the Henry Ford Production System, Rita D’Angelo designed and implemented innovative operational efficiencies for the Henry Ford Health System Operating Room, Transplant Institute, Behavioral Services, Women’s Health Services. and the departments of Pathology, Laboratory Medicine and Gynecologic Oncology, and she led the team that secured America’s first integrated laboratory system ISO 15189 accreditation. Rita continues to assist organizations across the US implement Lean Management and ISO 15189. Rita D’Angelo holds a P.hD. in Industrial and Systems Engineering, masters degree in health administration, a six sigma black belt, and certification in quality engineering and lean production. This entry was posted in Associates on July 14, 2014 by David Novis.